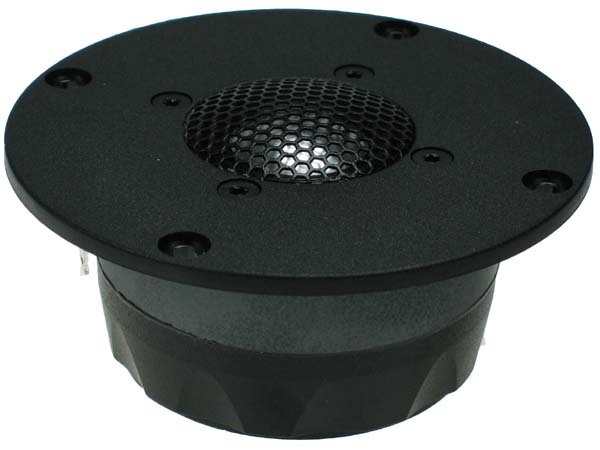 surround and a rear chamber. 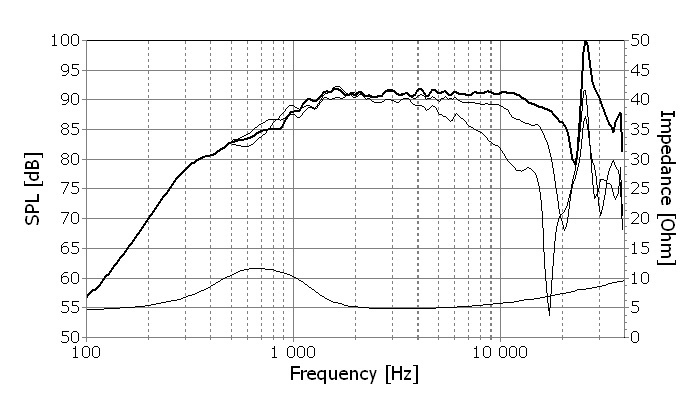 audible frequency range, resulting in a good dispersion also above 10kHz. 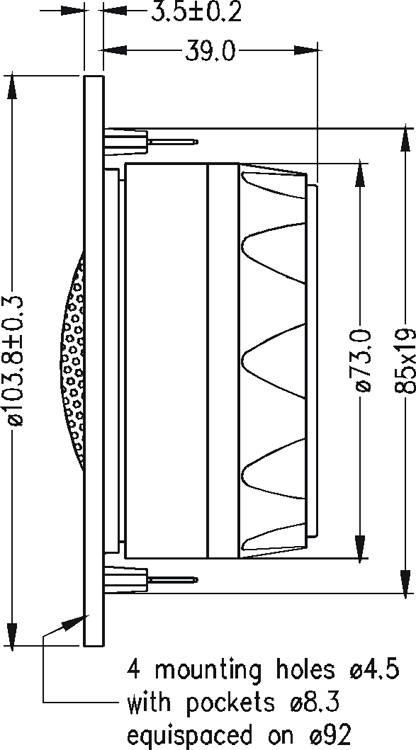 for a slight axial roll off towards 20 kHz. ventilating holes to eliminate noise from internal air flow. to be used with moderately low crossover frequencies. design offers optimum radiation conditions.